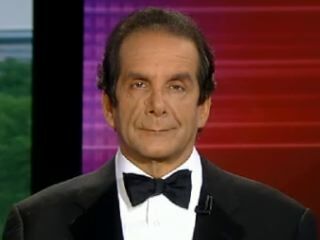 Krauthammer: Obama Refuses To "Stand Up For His Own Country"
Charles Krauthammer: "You can't have it both ways. Particularly coming from Mexico, a country where if you enter illegally it's a felony and you get up to two years in prison. And if you do it a second time, you get 10 years...So he's got a country which is extremely strict--draconian, if you like--about illegals entering into Mexico. And he's lecturing us on our laws here where it isn't a felony, it's only a misdemeanor. And then, even worse I think, is to see our president refusing to stand up for his own country, joining in the attack on Arizona." "The reason for that law isn't the absence of amnesty, it's the absence of securing the border. And it's the dereliction of the federal government, which is at fault, and the president isn't lifting a finger to do anything about it."